Our church crafting group made some Mother’s Day gifts for our local nursing home. We made decorated pen/pencil holders, covered journals with book marks and, of course, greeting cards. 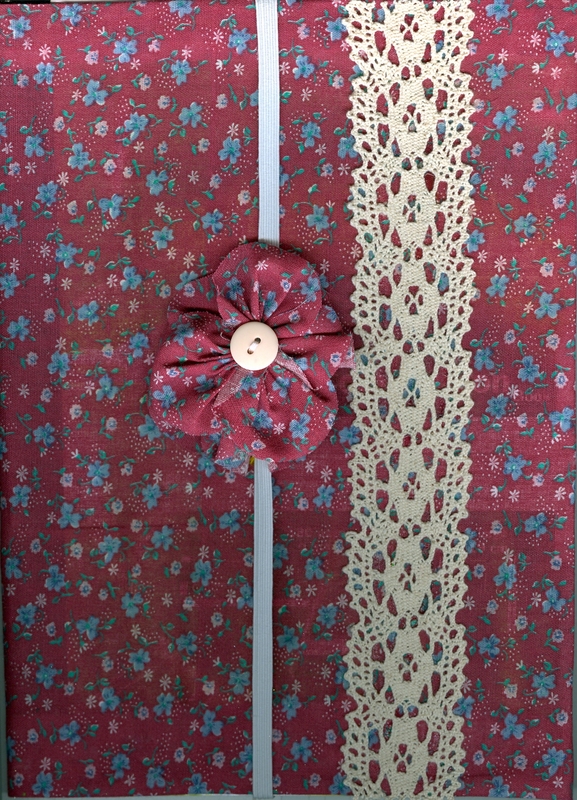 Cloth covered journal and embellished elastic bookmark. 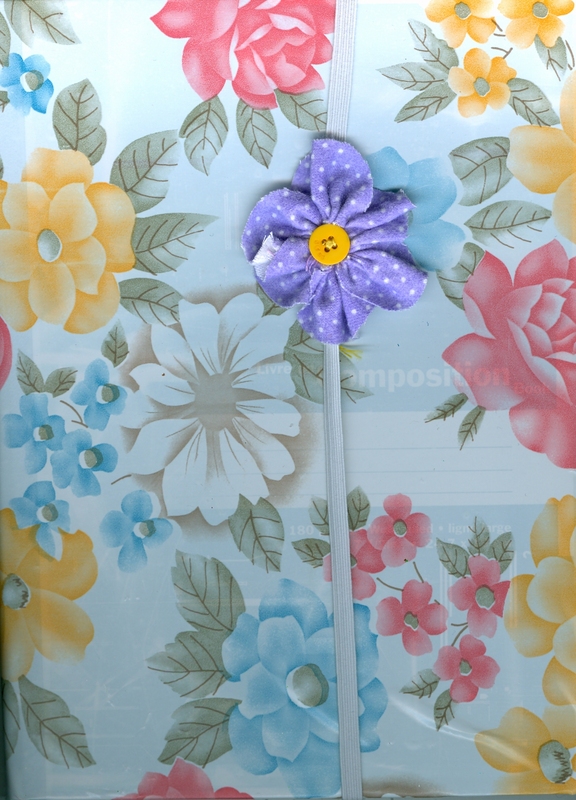 Vinyl covered journal with embellished elastic bookmark. Here are two of the covered journals that I made with embellished elastic book marks.